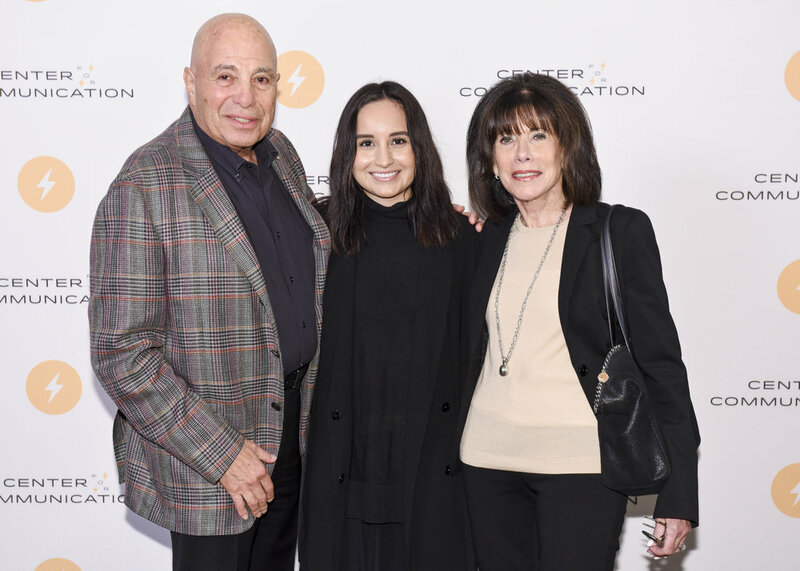 The 34th annual Center for Communication Frank Stanton Awards luncheon honored Cesar Conde, Chairman of NBCUniversal International Group and NBCUniversal Telemundo Enterprises. More than 200 executives from the media industry attended the awards lunch hosted by MSNBC’s Ali Velshi and Stephanie Ruhle. Roasters included Christy Haubegger, a top agent at CAA, with a hilarious story about attending Cesar’s wedding to six time Emmy-award winning journalist, Pamela Silva Conde, where she recalled being seated at a table where she became the translator for “los gringos”. With a client list that includes Eva Longoria, Shakira, Jennifer Lopez, and Rosario Dawson, Haubegger was a tough act to follow. Other roasters included, Jose Diaz-Balart, who anchors “Noticiero Telemundo,” and two additional shows; and actor Carlos Ponce, who joked that he was using this as a pitch session since Conde was so hard to get a meeting with. Social and community initiatives are key to Conde’s business approach and as he accepted the award he emphasized the importance of strength in diversity. Under Cesar’s leadership, Telemundo recently unveiled its 2017-18 slate of innovative programing, which will feature more than 850 hours of original multi-platform content, including a virtual-reality experience for the 2018 FIFA World Cup, the first-ever Hispanic Snapchat show, and multiplatform content collaborations with BuzzFeed. The luncheon provides the critical support that enables the Center to connect college and university students with the best minds in media, offering a real-world education and invaluable guidance to the next generation of leaders in the industry.